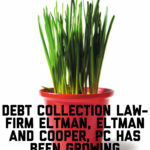 Harassed by Debt Collection Lawyers Eltman, Eltman and Cooper, PC in New York or New Jersey? Eltman, Eltman and Cooper, PC is an infamous debt collection law firm regularly representing collection agency and debt buyer Erin Capital Management, LLC, buying up portfolios of old debt from banks, credit card companies, hospitals, doctors, cell phone companies and car companies for pennies on the dollar. The debt buyers then try to collect the full amount from consumers, plus interest, penalties, late fees, overdraft fees, attorney’s fees and whatever other kinds of fees they can dream up. 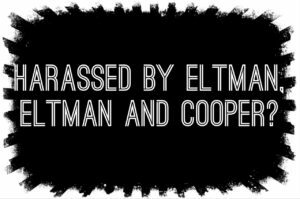 Eltman, Eltman and Cooper, P.C Erin Capital Management, LLC are alleged as notorious violators of federal debt collection laws known as the Fair Debt Collection Practices Act (FDCPA) and are sued regularly by consumers for these violations. The FDCPA is a federal law that regulates the collection of consumer debts. It precludes third party debt collectors from using false, misleading, deceptive and harassing debt collection tactics. The collection of any amount (including any interest and penalties) unless that amount is expressly authorized by the agreement creating the debt or permitted by law. 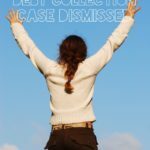 Without the consumer’s consent, communicating with any person other than you or your attorney in connection with the collection of a debt. Calling consumers before 8 am or after 9 pm. Calling consumers an unreasonable number of times. Using profane or other abusive language. 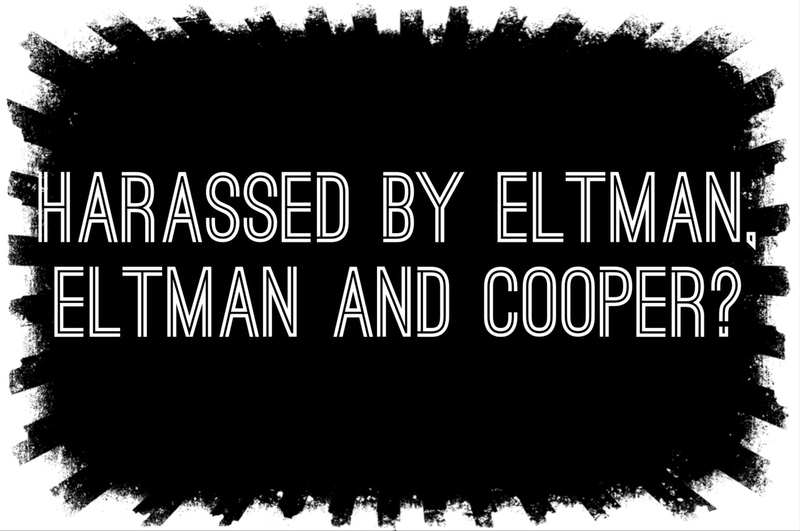 If Eltman, Eltman and Cooper, P.C Erin Capital Management, LLC has been harassing you, consider hiring a qualified attorney experienced in debt defense and the Fair Debt Collection Practices Act. If a debt buyer like Erin Capital Management, LLC and their attorneys like Eltman, Eltman and Cooper, P.C violate the FDCPA, you can sue it for statutory damages up to $1,000.00 plus actual damages (like pain and suffering) and your attorney’s fees. In FDCPA cases, most good consumer lawyers don’t charge their clients a penny out of pocket. 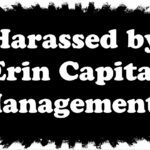 Harassed by Collection Agency Erin Capital Management, LLC in New York or New Jersey?